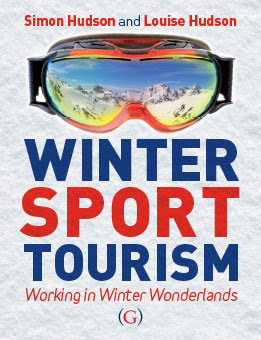 It's out: the only, the newest - and therefore the best - book on Winter Sport Tourism is now available. As avid readers of my ski blog, you are eligible for a 20 % discount – activate by using the code Winter20 at checkout. What a fab Christmas gift idea! Appealing to skiers, snowboarders, industry workers, winter tourism companies and academics, this book is a concise compendium for the ski industry. 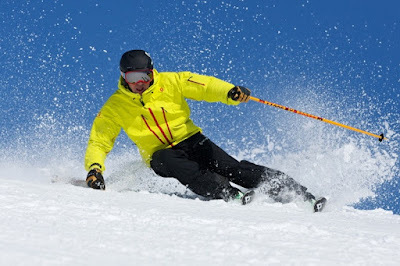 In other words, a one-stop need-to-know resource for winter sport tourism. Beginning with the evolution of winter sports, it covers contemporary products, activities, resorts and supporting industries. With sections on the consumer, customer service, marketing, management, leveraging events, design and planning, it is a fount of up-to-date information. It explores the economic, social and environmental impacts of winter sport tourism, culminating in the latest consumer trends and future forecasts. Each chapter is built around three fascinating, interview-based case studies which highlight entrepreneurial personalities within the industry. The writers of Winter Sport Tourism: Working in Winter Wonderlands are ski journalist, Louise Hudson and tourism researcher and professor, Dr Simon Hudson. As lifelong ski bums, we have dedicated their minds, bodies and souls to skiing, basing all our career and personal decisions on optimizing our skiing and ski writing. We are available for questions about the book and interviews via email at: louise.hudson2011@gmail.com and shudson@hrsm.sc.edu respectively and by phone on 803 708 2772. Free inspection copies are available for academics - <>Click here to request. - and there are review copies available for journalists. Requests for these can be placed now (see http://www.goodfellowpublishers.com/academic-publishing.php?promoCode=&partnerID=&content=textbook-adoption-form&storyID=349 to request) and fulfilled on publication 1 Sept 2015. Also, customized copies can be ordered to feature corporate logos and pictures on the front cover. Contact the authors for more info. Please help tweet this out and share via your Facebook, instagram, and all your social media networks.